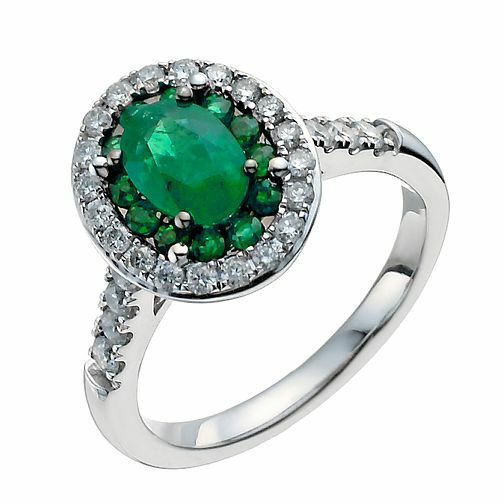 A stunning oval emerald takes centre stage in this exquisite 18ct white gold ring. Framed with a halo of emeralds and one of precious diamonds, the ring is finished with extravagant diamond set shoulders. Elegant glamour, perfect for evening dress.SKU: 9914609 is the matching band. Diamonds adorned with a statement companion.